We pride ourselves in providing luxurious carriers and chauffeur services for those guests who prefer some exclusivity and style oriented travel. Thus our Mercedes facility is perfect for VIPs who would like to cruise in luxury through the local neighborhood and absorb interesting sights. 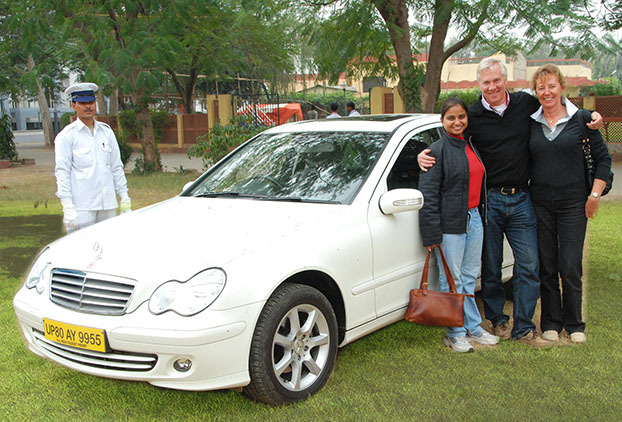 The Mercedes Pick up / drop off service is available throughout the itinerary or through specific time sharing basis. 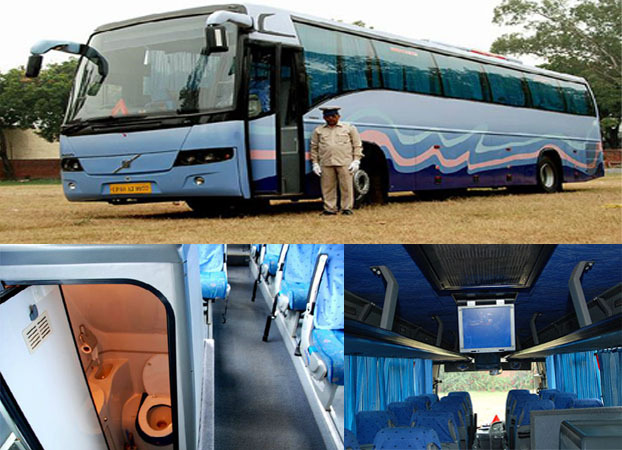 Our top of the line Volvo coaches ensure an ultra comfortable and hassle free journey for group travellers on long haul road trips; be it intercity or interstate. Air-conditioned, reclining seats, entertainment screens, and restroom on-board comprise few of the convenient facilities these buses offer. Indians strongly believe in the concept of 'Shubh Aarambh' or 'Auspicious Beginning' to all significant activities in their lives. We seek to provide an auspicious beginning to your visit, well, right at the beginning, at the station itself! 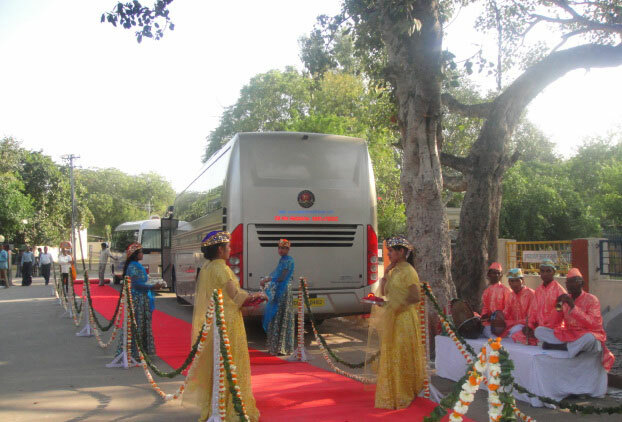 The welcome is a royal affair with a red carpet rolled out leading to the pick-up vehicle. 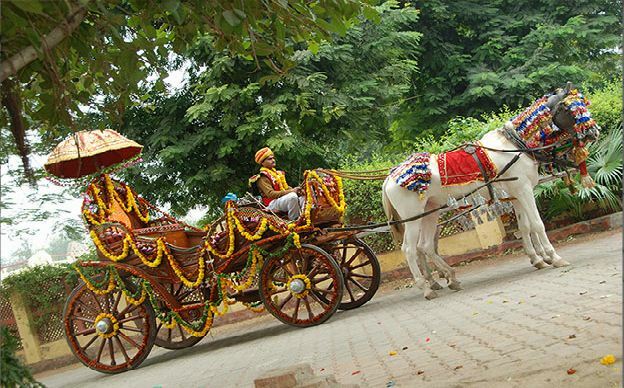 Guests are showered with rose petals, garlanded, and the traditional aarti - tika is performed, as we treat them like Royalty! Through our specialized theme nights, we help our guests to travel back to the historically fabled world of the great Mughal Empire - an integral part of Indian cultural history. The soiree starts with "chobedars" (gatekeepers) who usher you to the "dawat-khana" (dining room). Hostesses clad in silken, flowing "shararas" (skirts) and "chunnis" (veils) welcome you with flowers and "attar" (perfume) in the traditional style. Flamboyant folk dances herald a sumptuous spread of Mughlai delicacies, served in a manner befitting royalty. 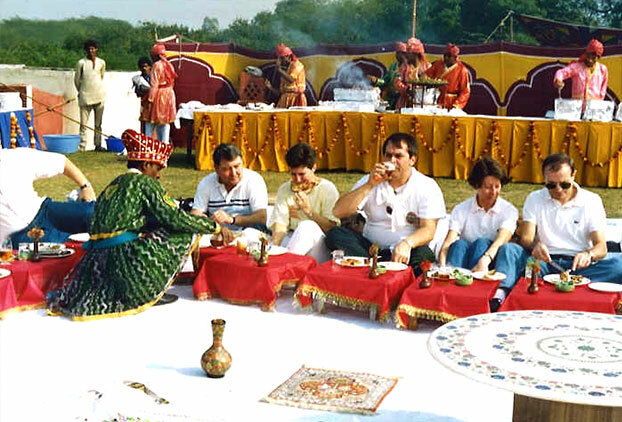 Guests, thereby, get a taste of the grandeur and opulence of the Mughal era. 'India lives in her Villages' averred the Father of the Nation, Mahatma Gandhi. 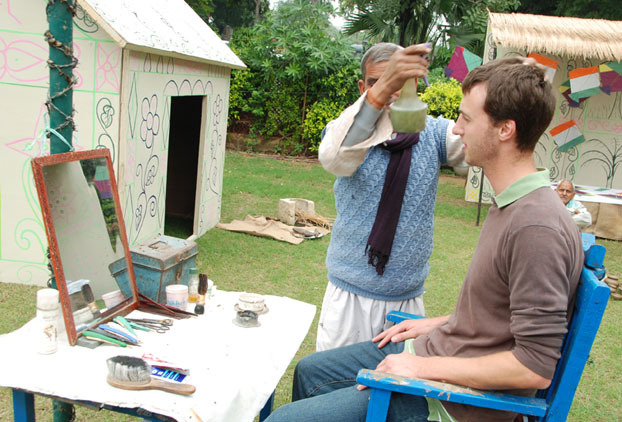 Palm reading by the local soothsayer and a head massage from the village barber are perennial favourites amongst our guests, and most can't resist a puff or two of the flavoured Indian hookah. Long before the Mercedes and the Rolls Royce, it was the Royal Buggy that was the preferred mode of travel of the rich and the regal. Get snug into the back of the buggy as we take you through the lanes and cross roads of Agra, reliving an era gone by. An enthralled female visitor to the Taj Mahal was heard saying " I would die tomorrow to have such another over me". Such is the beauty and magnificence of the Taj Mahal. 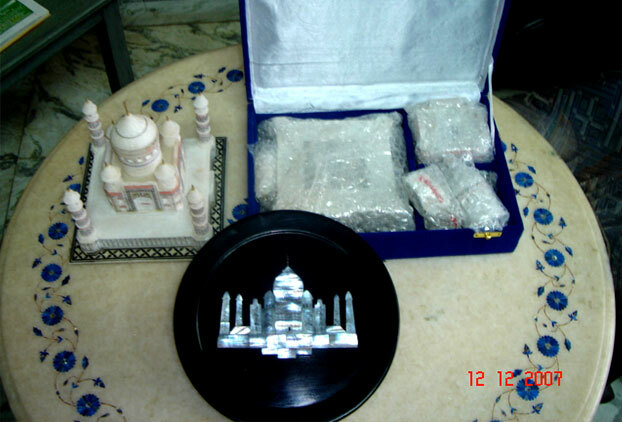 Our handcrafted Taj Mahal Marble Miniatures are a humble attempt to capture the splendour of the Taj Mahal for you to share this breathtaking spectacle with friends and family. Our Traditional Mementoes make for fitting keepsakes and gifts of your sojourn to India. Every vacation must come to an end but the memories linger on. 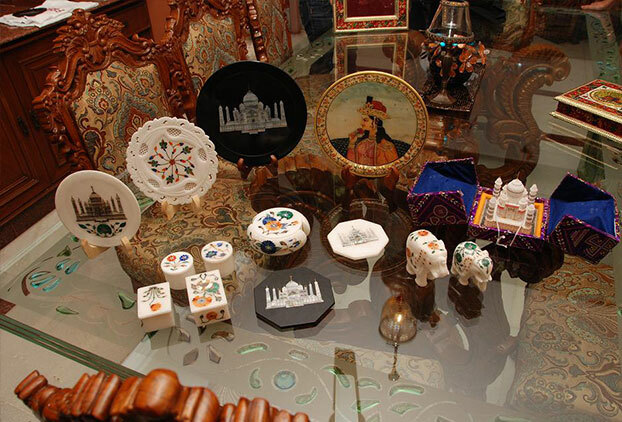 Capture the definitive memory of your Agra trip through our Taj Mahal Photo Memento including your photograph in front of the magnificent Taj Mahal set in an authentic Meena artwork photo-frame handcrafted by the artisans of Rajasthan. 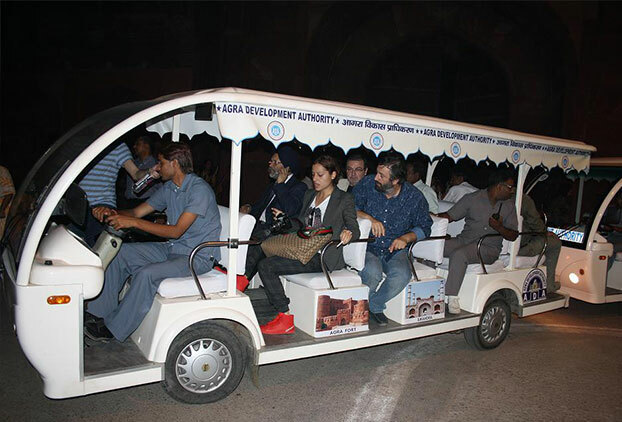 Our Chartered Golf Carts represent the epitome of exclusivity and make the 1km walk from the Taj Mahal parking at Shilpgram to the monument itself a quick & relaxing ride for our esteemed guests. More importantly, they afford our guests the luxury of more time to enjoy the sights and sounds of the majestic Taj Mahal.